The Washington International Diplomatic Academy (WIDA) is an independent educational institution dedicated to strengthening global diplomacy by providing the highest-quality training, executive education and professional development in diplomatic practice to government officials, NGO and business leaders from around the world. Kralev is an author and entrepreneur specializing in the practice of diplomacy. A former Financial Times and Washington Times correspondent, he witnessed firsthand the conduct of American diplomacy while accompanying four U.S. secretaries of state on their travels around the world — Hillary Clinton, Condoleezza Rice, Colin Powell and Madeleine Albright. He is the author of America’s Other Army and Diplomats in the Trenches. 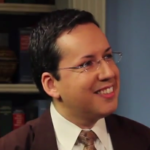 He holds a master’s degree in public policy from Harvard’s John F. Kennedy School of Government. A 26-year veteran of the U.S. Foreign Service, Zetkulic has conducted and overseen training for both American and foreign diplomats. He has held more than a dozen diplomatic and other national security positions in Washington and overseas. He has a high level of expertise in both the practice and management of diplomacy, having led embassies as a chargé d’affaires. He is a board member of the Association for Diplomatic Studies and Training. 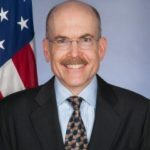 Abercrombie-Winstanley is a former U.S. ambassador to Malta, consul-general in Jeddah, Saudi Arabia, and deputy coordinator for counterterrorism at the State Department. During more than three decades as a career diplomat, she also served in Iraq, Egypt, Israel and Indonesia, as well as at the White House and the Foreign Service Institute. 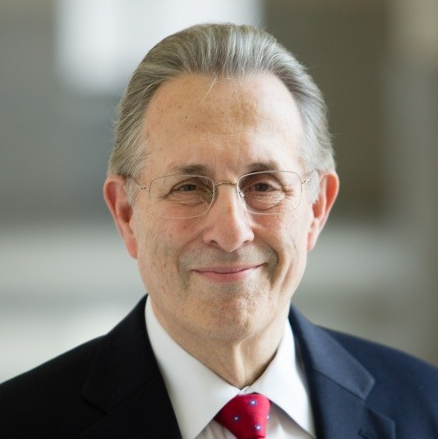 Barshefsky is a former United States Trade Representative, Washington’s chief trade negotiator. She is currently the senior international partner at WilmerHale. Her legal practice focuses on international business transactions, commercial agreements and regulatory impediments to exporting and investment. Burns is the president of the Carnegie Endowment for International Peace and a former deputy secretary of state in the Obama administration. 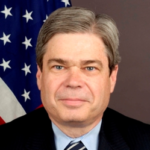 A retired career ambassador in the U.S. Foreign Service, he also served as undersecretary for political affairs, assistant secretary for Near Eastern affairs, and ambassador to Russia and Jordan. Countryman is a former assistant secretary of state for international security and nonproliferation. During his 34-year Foreign Service career, he served in Serbia, Egypt, Greece, Italy and at the United Nations, among many assignments. He is chairman of the board of the Arms Control Association. Ford is a retired career minister in the Foreign Commercial Service, where he held the position of director-general. A former ambassador to Honduras, he also served in Britain, Spain, Venezuela, Guatemala and Argentina. He is the treasurer of the American Foreign Service Association, a professional organization and union of active-duty and retired diplomats. Harrop is a former State Department inspector-general and ambassador to Israel, Kenya, Zaire and the Seychelles. During his 39-year Foreign Service career, he also served in Australia, Italy and Belgium, among other countries. He is a former Marine and chairman of the American Foreign Service Association. Jacobs is a former assistant secretary of state for consular affairs. 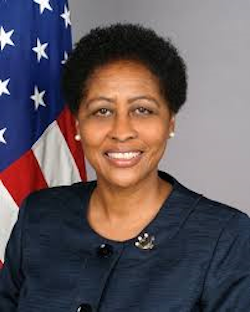 She was also ambassador to Senegal and Guinea-Bissau, as well as deputy chief of mission in the Dominican Republic. Other assignments during her 34-year Foreign Service career took her to Ecuador, Egypt, Ethiopia, France, Mexico, Nigeria and Thailand. 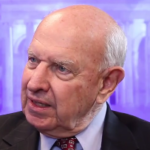 Pickering is a former undersecretary of state for political affairs and a seven-time U.S. ambassador: to Russia, India, Israel, Jordan, Nigeria, El Salvador and the United Nations. He is currently chairman of the boards of the American Academy of Diplomacy and the Institute for the Study of Diplomacy at Georgetown University. Ray is a former U.S. ambassador to Zimbabwe and Cambodia, deputy chief of mission in Sierra Leone, and consul-general in Ho Chi Minh City, Vietnam. He is a retired U.S. Army officer, who also served as deputy assistant secretary of defense for prisoners of war and missing personnel affairs. 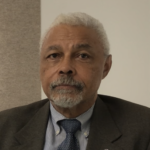 Reddick is a former ambassador to Niger, Gabon and São Tomé and Príncipe. Having joined the Foreign Service in 1980, she also served in Zimbabwe, China and Taiwan, and had several assignments in Washington — at the State Department, as well as at Georgetown and Howard Universities. Rivkin is a former assistant secretary of state for economic and business affairs, and a former U.S. ambassador to France. He is currently chairman and CEO of the Motion Picture Association of America. He was finance co-chair in California for the 2008 Obama presidential campaign and president of the Jim Henson Company. Wall is a former ambassador to Chad and minister-counselor for economic and science affairs at the U.S. Embassy in Tokyo. He also served in China, Taiwan, Iraq, Zimbabwe and Côte d’Ivoire, as well as at the United States Pacific Command in Honolulu and on the State Department’s policy-planning staff in Washington. Wayne holds the title of career ambassador, the highest rank in the U.S. Foreign Service, where he served for 40 years. He is a former assistant secretary of state for economic, energy and business affairs, principal deputy assistant secretary of state for European affairs and ambassador to Mexico and Argentina. Zumwalt is a former ambassador to Senegal and Guinea-Bissau and deputy chief of mission at the U.S. Embassy in Tokyo. He was also deputy assistant secretary of state for East Asian and Pacific affairs, and served in China and the Democratic Republic of Congo. He is currently the CEO of the Sasakawa Peace Foundation USA.